The remaking of NASA is only part of the job; the real test will be sustaining the vision over decades to come. Over the past two decades, there has been no shortage of reports discussing what is wrong with NASA and in what direction the space agency should go for the near as well as far term. 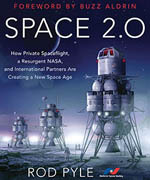 From the National Commission on Space, which in 1986 offered a series of goals for NASA extending over 50 years, to the Columbia Accident Investigation Board, which last year delved into the root cultural problems with the agency, one could fill most of a bookshelf with the reports that have promised to “fix” NASA. However, most of those reports have had little lasting effect on the agency. In June, another high-powered commission announced its plan to reform NASA. The President’s Commission on Moon, Mars, and Beyond, better known as the Aldridge Commission after its chairman, former Air Force secretary Edward “Pete” Aldridge, wrapped up its investigation of how NASA and the nation should implement President Bush’s Vision for Space Exploration. The commission’s final report, A Journey to Inspire, Innovate, and Discover, doesn’t provide a detailed technical analysis of how NASA should return humans to the Moon by 2020 in preparation for exploration of Mars and beyond. Instead, the slender 60-page report offers a blueprint for how NASA should reorganize itself, engage the private sector, and capture the imagination of the public, all critical milestones if the vision is to become reality. Not surprisingly, the commission made a number of recommendations regarding how NASA should be structured to best carry out the vision. The commission believes that three new organizations should be established within NASA: a technical advisory board to provide independent advice on technology issues, an independent cost-estimation group, and a research and technology organization to sponsor “high-risk, high-payoff” technology research. The last organization, commissioners said, should be patterned after the Defense Advanced Research Projects Agency (DARPA), the Pentagon’s organization for doing risky, but potentially groundbreaking, technology work. 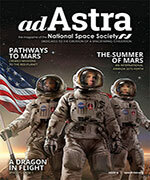 The commissioners noted that NASA has to be willing, like DARPA, to have some of those technology projects fail. “If DARPA is not failing, then it’s not pushing the state of the art,” Aldridge said. A more surprising recommendation involves the future of NASA’s 10 field centers. For years, rumors have swirled that NASA might close one or more of the centers as a cost-cutting move. While many expected the commission to endorse such a move, it instead offered a different approach: converting the centers from federal facilities to federally funded research and development centers (FFRDCs). While FFRDCs get their money from the government, they are instead run by outside entities, usually universities or nonprofit organizations. For example, the Jet Propulsion Laboratory in Pasadena, Calif., already is a FFRDC: while funded by NASA, it is run by the California Institute of Technology. Converting the field centers into FFRDCs would offer a number of advantages, commissioners believe. “It would revitalize innovation, work effectively with the private sector, and stimulate local economic development,” Aldridge said. In addition, FFRDCs offer a greater degree of flexibility in their management over traditional federal facilities, including the ability to pay employees comparable amounts to their private-sector counterparts. One way to help develop the space industry is to improve the private sector’s relationship with NASA. In particular, the report calls for NASA to procure services from the private sector whenever possible, relying on internal resources only when there is an “irrefutable demonstration” of a lack of capability elsewhere. The commission even suggested, in a footnote, that NASA consider “limited advertising and sponsorships” akin to the Olympics to provide additional revenue for exploration programs. In particular, the report recommends that NASA procure all its low-Earth orbit launch services commercially, with the exception of manned launches. By and large NASA already does this, purchasing launches for robotic spacecraft missions. NASA could expand this, commissioners noted, by using the private sector to launch cargo to the International Space Station. NASA is studying commercial ISS resupply options but has not yet made a decision how to proceed. In a speech the day after the report’s release, Michael Kostelnik, NASA deputy associate administrator for the space station and space shuttle programs, suggested that NASA was in no hurry to hand over ISS resupply to the private sector. “It’s not very likely that we can get a robust delivery capability in the near term, nor is it clear that we need one right now,” he said. He did add, though, that commercial ISS resupply of some kind would be needed late in the decade, as the shuttle approaches retirement. In addition to encouraging NASA to purchase commercial services, the commission offered a number of other ways to stimulate the private sector, including prizes, tax incentives, regulatory reform, and a re-examination of the issue of property rights in space. The commission was particularly fond of prizes, strongly endorsing NASAs Centennial Challenges prize program, which wrapped up a two-day planning workshop the same day the report was released. While NASA is not planning to spend more than $50 million a year on the program, the commission recommended that larger prizes be established, including possibly a $1-billion prize for the first organization to send people to the Moon and have them live there for a period of time before returning. While much of the media attention surrounding the commission’s report focused on its organizational and commercialization recommendations, a key aspect of the report is how to keep the public, and in particular students, interested in the exploration vision. The vision could fail in the long term if today’s students shun careers in science, engineering and related fields. “We are not training enough scientists and engineers in this country,” said commissioner Maria Zuber, a geophysics professor at the Massachusetts Institute of Technology. That shortfall, she noted, poses a risk not just to NASA, but also to the nation’s leadership in high-technology fields in general. One solution to the problem proposed by the commission is the creation of a “virtual space academy.” The academy would feature a one-year series of courses designed to give college students hands-on experience in space science and engineering work, preparing them for a possible career in the field. NASA would design and fund the courses, which would be based at participating universities around the nation. The near-term challenge, though, will be trying to implement the commission’s recommendations. The day of the report’s release both NASA and the Bush Administration thanked the commission for their work, but were non-committal about whether, when, and how they would act on the report’s findings. “I am confident that the Commission’s report will help Congress, NASA, other government agencies, the private sector, the international community, and the American public to work together to undertake the next steps in our journey into space for the benefit of generations to come,” President Bush said in a statement.